Ottobre Designs have a few freebies on their website. In particular they have this Pea Pod bag that is nice made up. A friend recently made one up in red and it looks great...and the Dotted Dream purse. 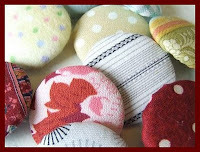 Kerry from Very Kerry Berry has a tutorial to make a strip pieced pincushion. Very cute indeed. What a coincidence for the winner of the Crazy 8 Honey Bun and Turnover to be called "Lucky-1". Can you believe it? Its kind of amazing that from 357 entries "Lucky-1" is actually somebody I know. "Lucky aka Leanne" really is a deserving winner as she would do anything for anybody and really is a lovely lady. I still cannot believe "Lucky" won! Congratulations to you Lucky and a big thank you to all the lovely comments from all the lovely readers. Whether you follow this blog or not I appreciate your comments and friendships I have made along the way. And.....because I love giving I am going to give away one of my own patterns to 8 more lucky people. 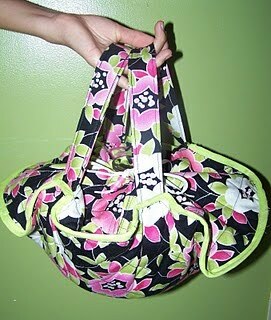 You get to choose from my Sew Charmed Quilt pattern or my Sling Bag pattern. These will be emailed to you. If you wish to win one of my patterns please jump across to Sew Prim Khris and leave me a comment. I will draw this on the 17th of July seeing that 1 and 7 equals 8. Keeping in line with the lucky 8 theme. Michele from Michele Made Me has a great Tutorial up that could come in handy if you don't have the exact button you need for your craft project, using fabric from your project or a co-ordinating one you would easily be able to make your own. Check it out here on Michele's blog. Today I noticed the Freebies for Crafters blog has 888 followers....woohooo...and the Chinese consider the number eight (8) lucky....and better still if you have more than one 8 you are even luckier. 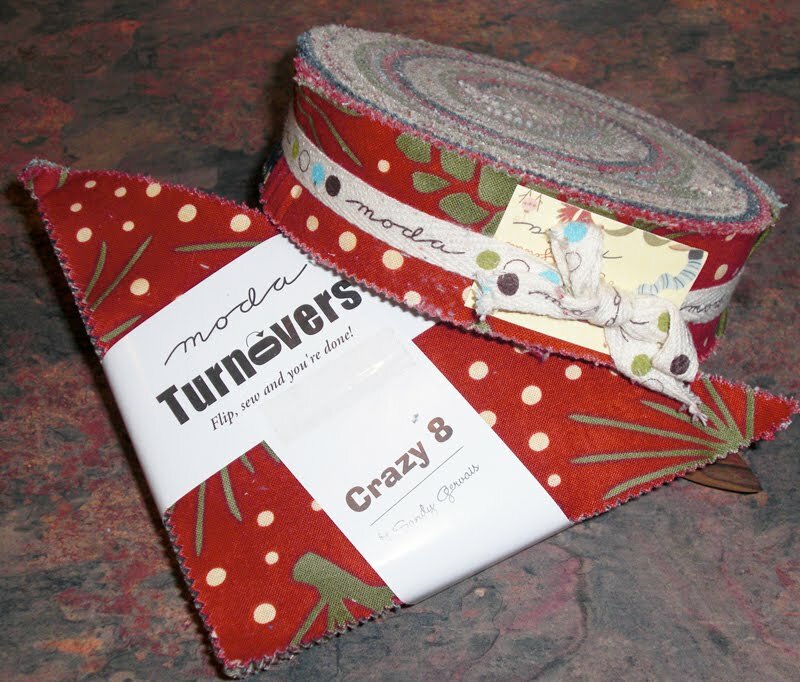 Soooo......I am going to give away one Moda Crazy 8 Turnover and a Moda Crazy 8 Honey Bun. Just leave me a message on this post and you will go in the drawing. Khris has made a quick trip home to Queensland so she will now be drawing this on the 14th of July .......... Entries close on midnight of the 7th of July.